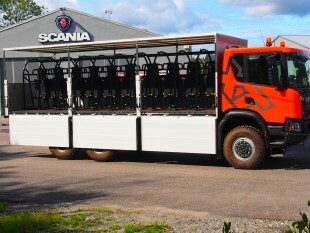 ProTEK® Roll Over Protection Systems (ROPS), fitted with our ProTEK® Light crew seats with 4-point harnesses, have recently been installed on a Scania truck at the Scania HQ demonstration centre in Sweden. 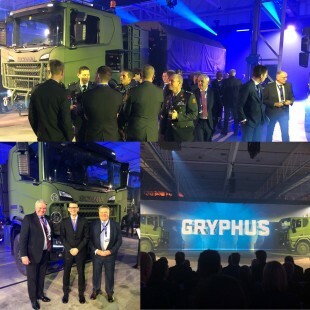 TEK Military Seating was recently invited to the Netherlands as one of Scania’s key suppliers for the official handover of the first defence vehicles to the Defence Material Organisation (DMO). 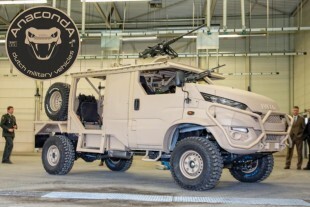 The DMV Anaconda is one of the latest vehicles to be fitted with our ProTEK® Mesh Driver/Commander seats and ProTEK® Light crew seats.